THIS afternoon is the last chance teams have to tune up ahead of next week's finals. Coffs Breakers have the minor premiership safely stowed in the cabinet and will be looking for a solid hit out ahead of a week off. The Breakers are at full strength and will see the game against Grafton as a perfect opportunity to prepare for the challenging matches ahead. Coach Nic von Schill is likely to mix and match his line-up to try several different combinations that may be called upon if a plan B is needed when the season is on the line. Grafton's season has been a polar opposite to that of the Breakers. A promising start in comparison to recent, lean years, highlighted by the team's first win in two seasons, quickly petered out to a series of bad losses. Last week's improved performance on the long road trip to Port suggested that a corner could yet be turned and that a surprise could be sprung during the finals. 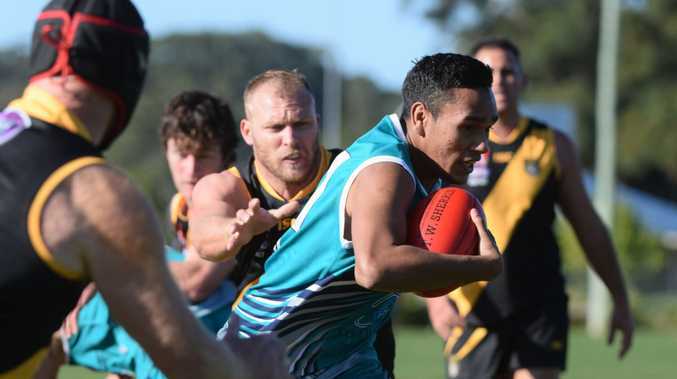 Sawtell/Toormina is a club that prides itself on bringing its A-game to the big matches, so the whole club was stung by the size and nature of last week's loss to the Breakers. The Saints will be boosted today by the return of Hamish Bird and Matt Dwyer while Leif Stuart will be better for last week's run after a lengthy injury layoff. Club stalwart Mark Couzens is celebrating a personal milestone and the club will be looking to help him celebrate. Port came within five points of Sawtell a fortnight ago and will take a number of positives from that effort. The Magpies backed up that performance with a tradesman like win over Grafton last week and are finally starting to show glimpses of being the threat they were in past seasons. Port knows its season goes on the line next week and will be keen to head into the finals with winning form. Fraser Carroll played his best match in the seniors last time out to give the club the lift from its younger brigade that it has needed and coach Anthony Beasley is hoping other youngsters follow this lead.